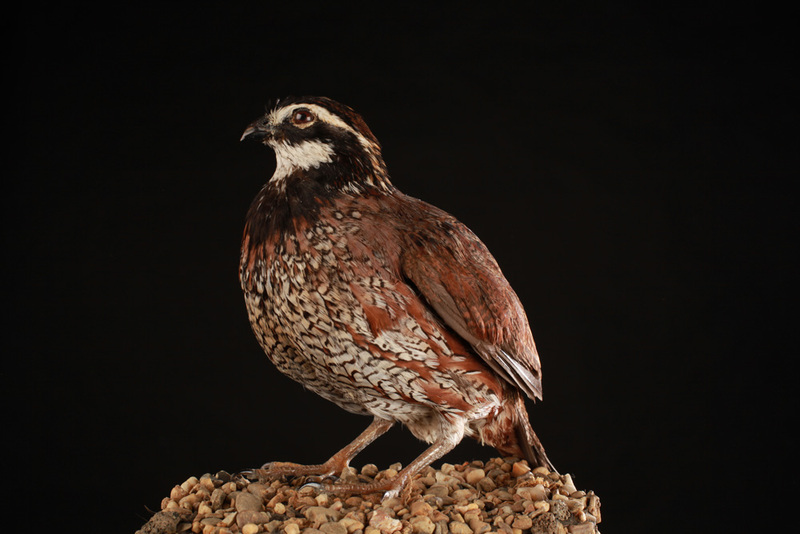 The Norethern Bobwhite belongs to the family of quail under his stocky figure and has a size smaller than a grouse. The male has a reddish-brown upperparts and pale and streaked belly. It also displays a white stripe above the eye and a framed black white patch on the throat. Male and female are different. The white parts in males are buff in the female while the black parts are reddish-brown. There are 21 Sub-species. It is very demanding in terms of habitat and attends at a time, for various reasons, grasslands, farmlands and woodlands. Is mainly found in the growing regions of beans or corn or abandoned farms covered with weeds near brushy areas in the tree or herbaceous vegetation. In spring and early summer, it uses the meadows, ditches, roadsides, shorelines of ponds, conducive to good nesting and adequate food. In early spring, the males begin to sing to attract a female, early June, when nesting occurs from May to September. The couple shared nest building and brooding. Nests are shallow saucer-shaped cavities in the ground, lined with plants and covered with grass. The female lays an egg almost every day for a period of 18 to 20 days, spawning reach from 11 to 15 eggs with incubation lasts 23 or 24 days. Upon hatching, the young, downy, are mobile and they follow their parents and fly after six or seven days. 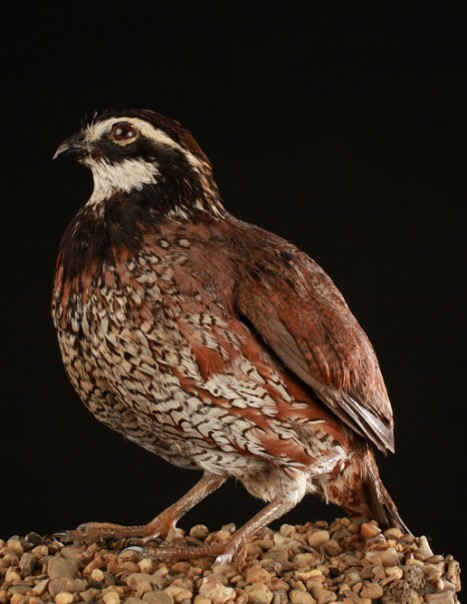 Virginia quail have a very varied diet that includes seeds, fruits, plants, insects and spiders, pine seeds, wild grapes, blackberries, honeysuckle, poison ivy, the ragweed, acorns, nuts, sunflowers, thistles and clover. In the summer, their diet becomes downright organic; grasshoppers, crickets, caterpillars, spiders, snails, centipedes, isopods, millipedes and others.